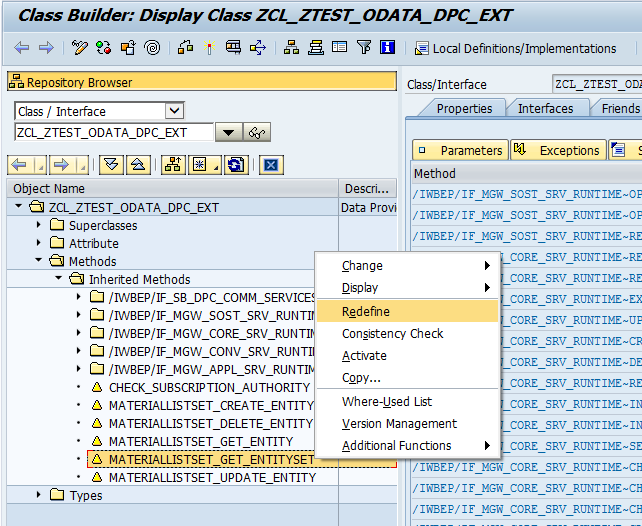 SAP Fiori apps use OData to display and update data in back-end server (SAP or Non-SAP). OData (Open Data Protocol) is a standardized protocol for creating and consuming data APIs. OData builds on core protocols like HTTP and commonly accepted methodologies like REST. Odata supports message formats like JSON, XML. 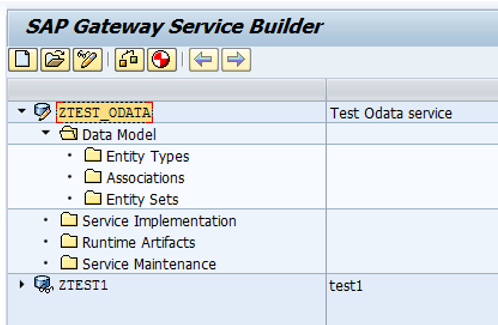 Here we see how to create a Odata-Service which consumes RFC of SAP-R3 (Back-end) server. This is a example of business scenario where we need to display/update data of SAP-R3 (Back-end) server in SAP UI5 Application. 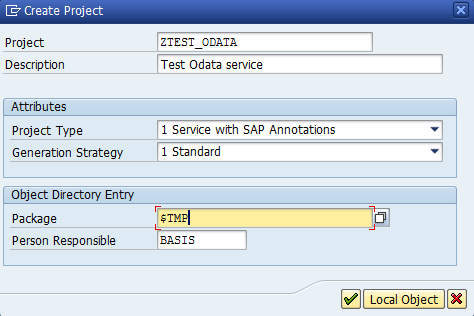 SAP UI5 Applcation consumes Odata-Service which in-turn consumes RFC of SAP-R3. 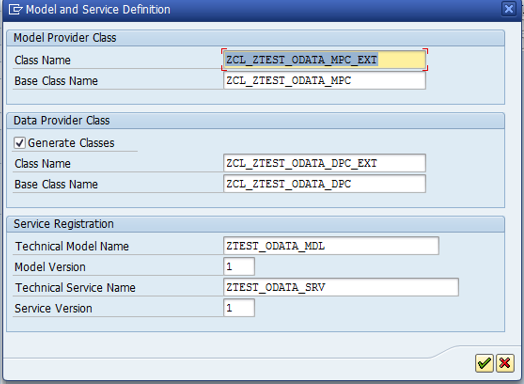 This is example to consume RFC in OData-Service. Functionality of RFC is like, on invoke, it returns MARA table details. This RFC will be consumed in OdataService of SAP-Fiori. Enter names as per input. here ‘Entity Type’ is like Data Type and ‘Entity Set’ is like variable of Data Type. Once method gets re-defined, we can see it in folder Redefinitions. 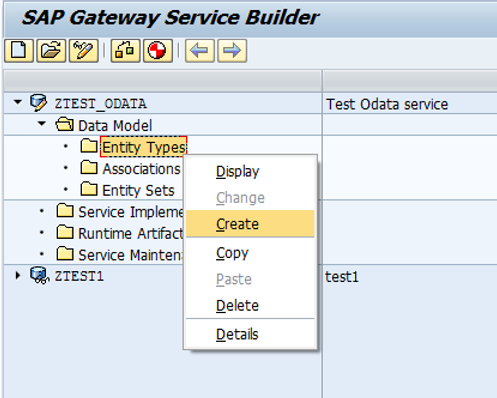 When SAP UI5 Application calls this OdataService with this EntitySet name i.e. ‘MateriallistSet’, GET_ENTITYSET method gets invoked. 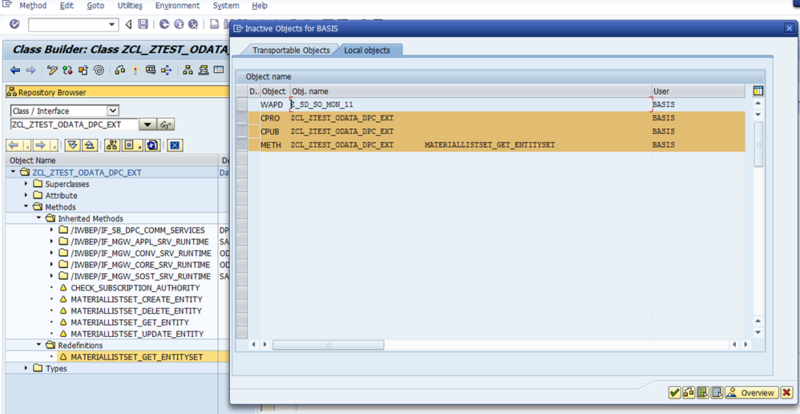 Here we can write logic to call RFC of SAP-R3 (Back-end) server. 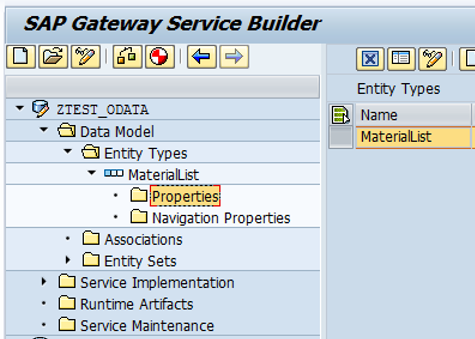 method MATERIALLISTSET_GET_ENTITYSET. * Structure for RFC's mara table data TYPES: BEGIN OF ZMARA, MATNR TYPE C LENGTH 21, MTART TYPE C LENGTH 4, END OF ZMARA. 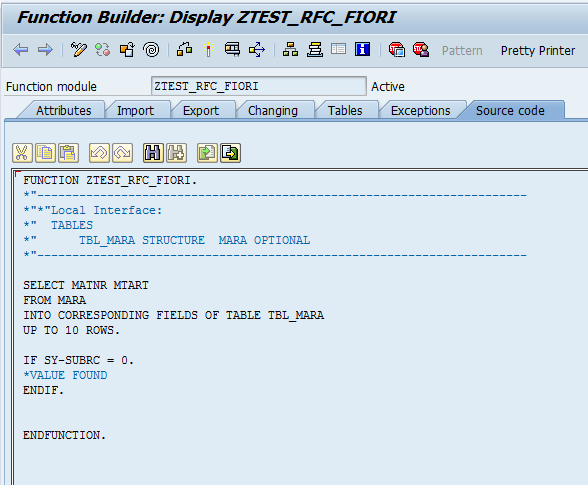 DATA: IT_MARA TYPE TABLE OF ZMARA, "internal table to store RFC result wA_MARA TYPE ZMARA, "work area for single RFC result WA_ENTITY TYPE ZCL_ZTEST_ODATA_MPC=>TS_MATERIALLIST. 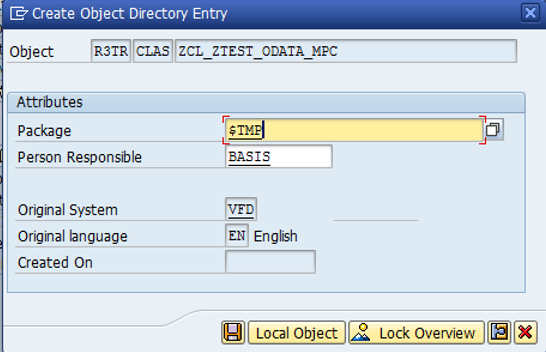 "work area for Odata Entity 'MaterialList' * Calling SAR-R3 (Back-Ens) server RFC Call FUNCTION 'ZTEST_RFC_FIORI' DESTINATION 'rfcDestinationName' TABLES TBL_MARA = IT_MARA. * Return RFC output to Odata Entity output 'MaterialList' IF SY-SUBRC = 0. *if VALUE FOUND, then map output to Odata Entiy 'MaterialList' LOOP AT IT_MARA INTO WA_MARA. CLEAR WA_ENTITY. WA_ENTITY-MATERIAL = WA_MARA-MATNR. WA_ENTITY-MTYPE = WA_MARA-MTART. APPEND WA_ENTITY TO ET_ENTITYSET. 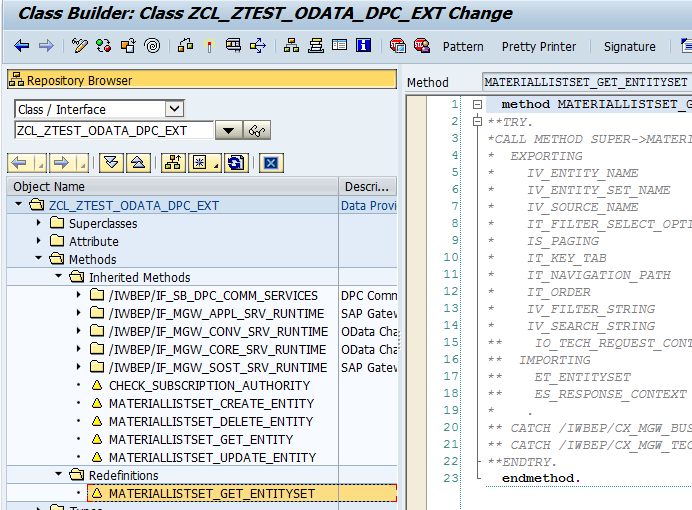 "Append output to Odata Entiy 'MaterialList' CLEAR WA_MARA. ENDLOOP. ENDIF. endmethod. Now activate the ‘GET_ENTITYSET‘ method and ‘_DPC_EXT‘. Thus, a OData Service has been created, which consumes RFC of back-end system. Once service gets registered, it can be consumed in SAP UI5 Application for display/upload of back-end data. 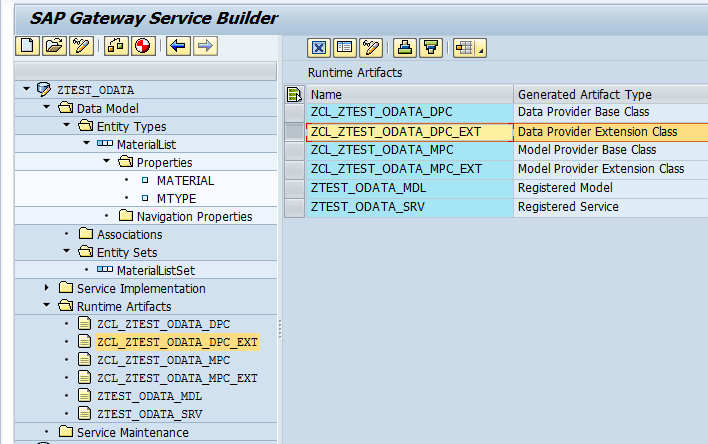 Thus we have developed one OData Service in SAP-Fiori which consumes RFC of SAP-R3.